The decision to ban fracking–which has been used safely and successfully in tens of thousands of wells in neighboring states and nationwide over the last few years–deprives landowners of the technological means of developing their oil and gas properties. This act devalues their property, strangles development, and bars a safe means of generating both revenue, and the energy we all need to live. This act is unjust and anti-progress. Consider: every technology, from electricity to in vitro fertilization, is easy to demonize when it is new and unfamiliar. It is the government’s responsibility to intervene only when there is actual, scientific evidence of endangerment or harm. Ask yourself: could Thomas Edison have built his first power plant in New York when electricity was a new, unfamiliar, and sometimes demonized technology if authorities could simply outlaw his experiments followed by vapid reasoning such as “We don’t have the evidence to prove or disprove the health effects, but the cumulative concerns of what I’ve read gives me reason to pause”? Fortunately for us, Edison and other innovators were not forced to “pause” by government officials eager to appease a mob, because their right to act independently from other people’s ignorance or prejudice was protected through the protection of property rights. Regardless of the concerns of New York politicians, hydraulic fracturing has been used safely for decades to produce oil and gas. 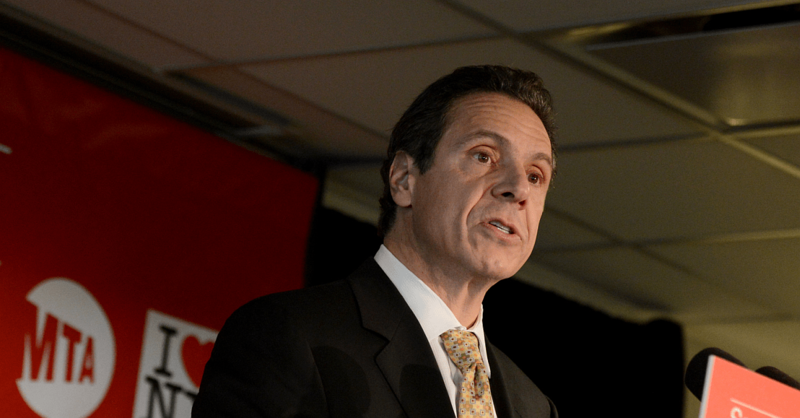 By banning hydraulic fracturing, Cuomo has banned a crucial technology used in the generation of energy, the fuel of human progress and without which the bright lights of New York would be dark.